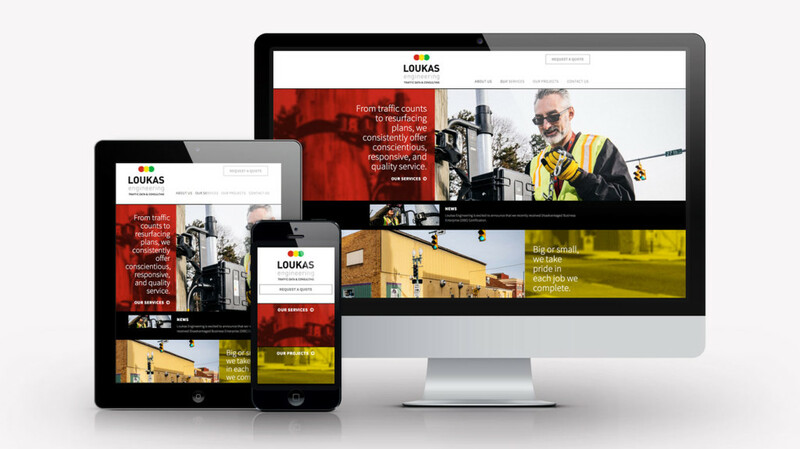 Through our website design, we visually portrayed Loukas Engineering’s owners honest, down-to-earth personalities and their eagerness and energy for the traffic consulting work they do. Compelling photography shows them at their work; bold red/yellow/green overlays and grounded copy combine to affirm Nick and Shelly Loukas as trusted traffic study experts in Northeast Ohio and beyond. 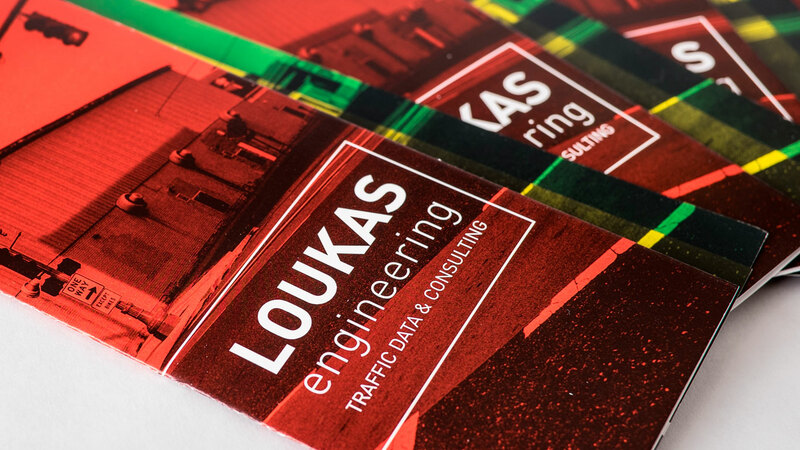 Loukas Engineering came to us helping to create a distinctive handout for an upcoming tradeshow they were attending. 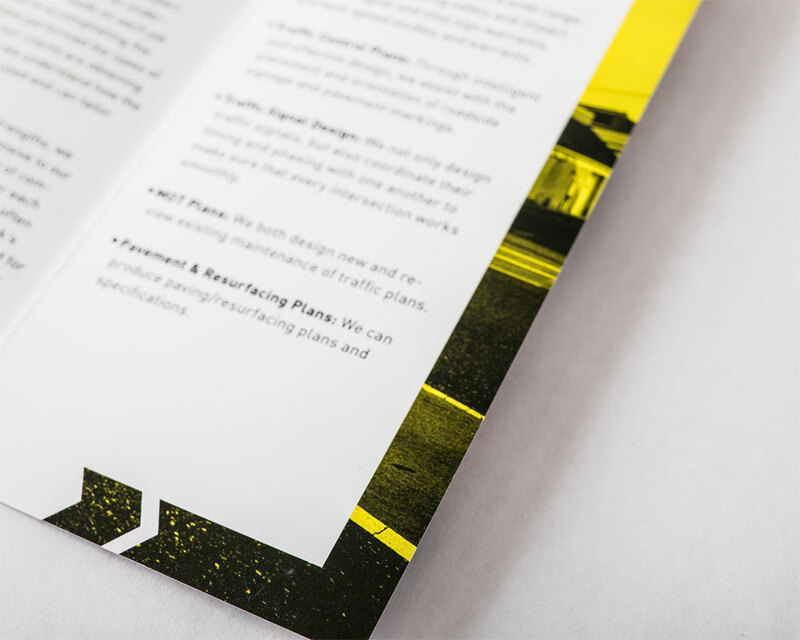 Through research and prototypes we came up with a solution that was eye-catching and innovative without adding too much cost over a traditional tri-fold. What our team came up with was a novel folding solution that allowed us to give the user a different experience as they opened the piece. 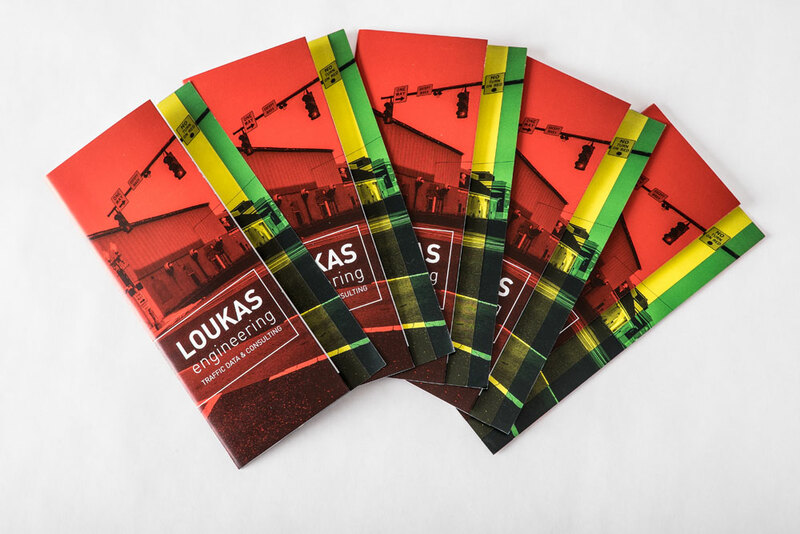 Using a three tiered fold we were able to showcase the bold, three-color motif from the Loukas Engineering logo as well as to help organize the information within. All of this helped this piece to stand out and be bold in a sea of trade show print materials.